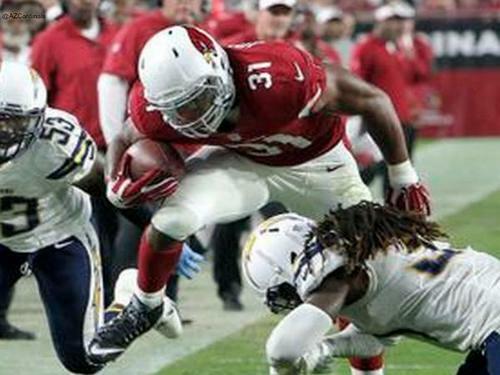 The Arizona Cardinals are taking on the San Diego Chargers in preseason game #2! 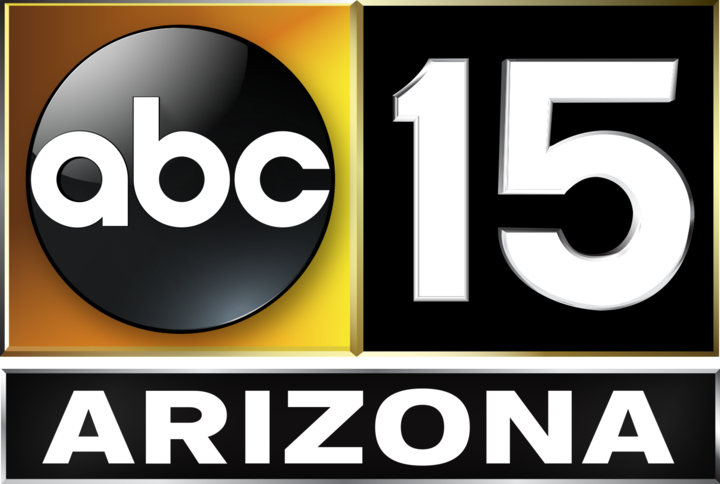 Our ABC15 sports team has the latest game updates, stats, highlights and analysis during the game. 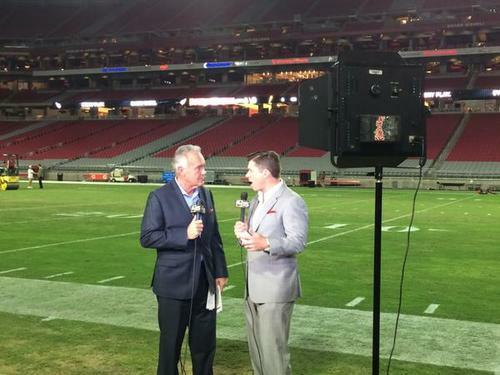 Follow @abc15sports on Twitter for updates and join the conversation using the hashtag #SDvsAZ. 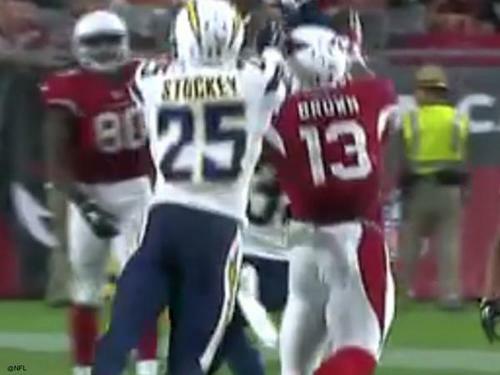 Drew Stanton's pass intercepted by #Chargers LB Kavell Conner who returns it to the #AZCardinals 12. Branden Oliver 3yd run for a #Chargers touchdown. PAT doinks off the right upright. 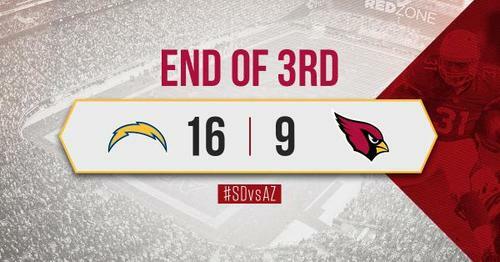 #AZCardinals 9, SD 6 with 6:10 left in Q2. Holy Crud. @jaronbrown13 with a miraculous catch. 30 yard gain. 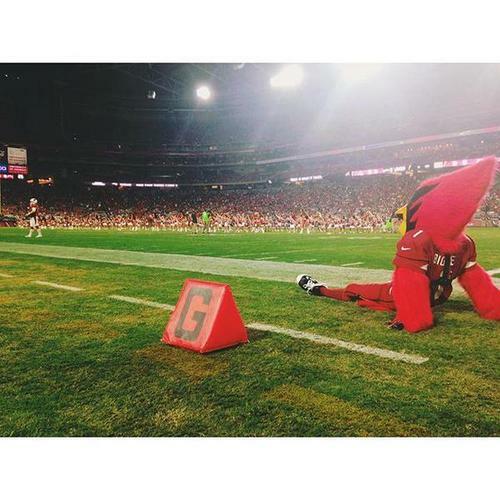 First down #AZCardinals !
. @Jaronbrown13 doesn't care if you bring double coverage. 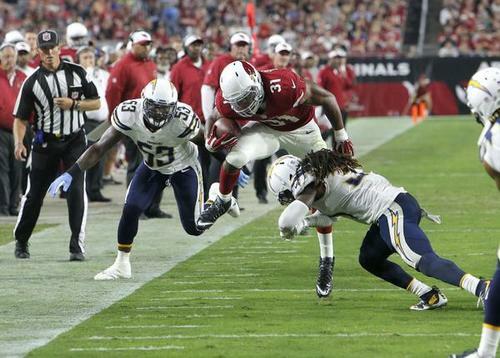 Two Minute Warning: #AZCardinals 9, #Chargers 6. After 30 minutes, we're all square. The second half is a go! The 2nd half is underway with the #Chargers starting from their own 20. QB @Lthomas_3 enters the game for the #AZCardinals . My halftime (bird's eye) view. "Nest-ibel" meter on the sidelines. #Chargers RB Dreamius Smith scores on a 1yd touchdown run. WR Brittan Golden down after getting crushed as he tried to make that catch. 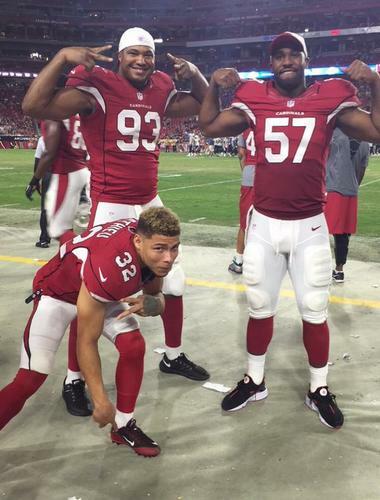 Touchdown, #AZCardinals -- and #ForksUp ! TOUCHDOWN #AZCardinals ! @TheMarionGrice 1yd run! 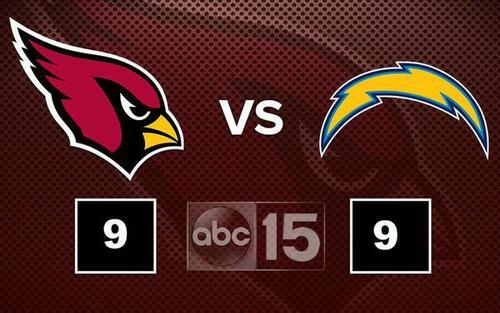 Two Minute Warning: #AZCardinals 19, #Chargers 19. The #Chargers face a 3rd and 12 from their own 39 with 1:48 left. Tie game. 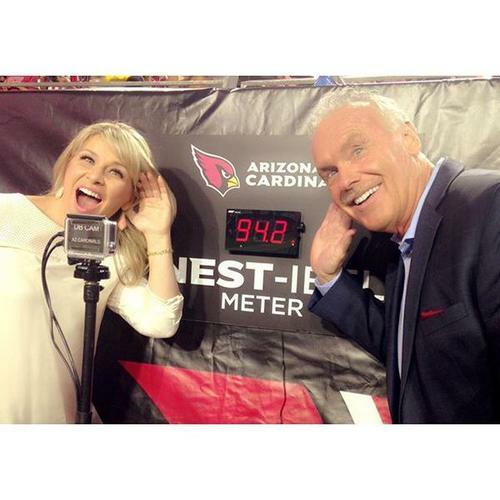 Can the #AZCardinals hold them? #AZCardinals HC Bruce Arians is beside himself! Get 'em coach! 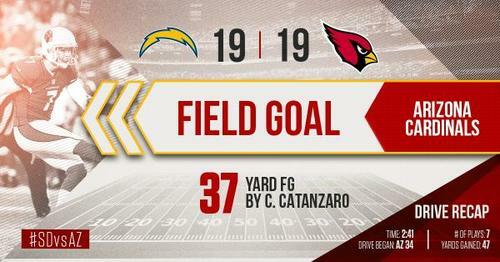 Lambo hits 47 FG to give #Chargers the 22-19 win. 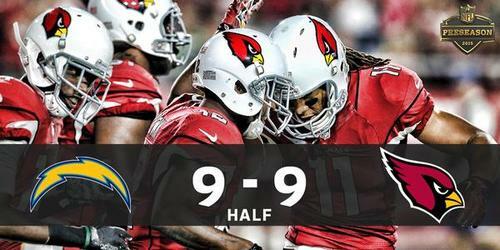 Cards 0-2 in preseason but starters played well again.